Tonight at the Barrett-Jackson Auction in Arizona, Chevrolet and the Indianapolis Motor Speedway announced that yet again, the Camaro SS will be the official Pace Car of this year's Indy 500. The difference this year? It's the convertible. Ooh! 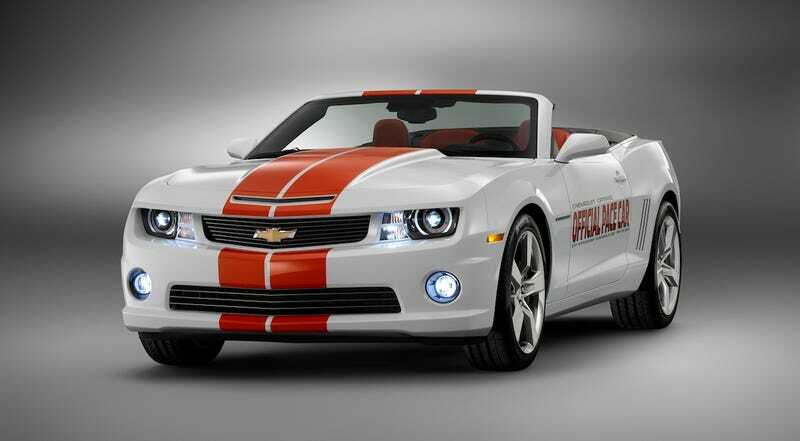 The special pace car was revealed anti-climactically moments ago at Barrett-Jackson, and covered live on SPEED TV. And it will go on the auction block there this weekend. And that's all we have to say about that.